I love Spring. I think it's probably from living on the West Coast as a small child (which is also the source of my love of rocky beaches, mossy and damp forests, and the ocean). Spring is supposed to start in February. But after the age of 6, I've spent most of my Springs in places where Spring dawdles in around mid-April or early May. And then it's usually around for about 20 seconds before it decides to be Summer. Montreal was like that. We had glorious long Autumns, but fleeting Springs. 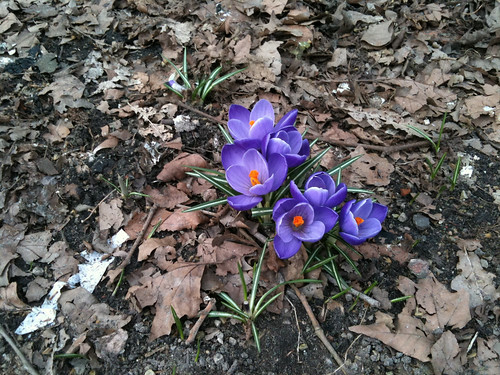 So I am absolutely savouring every moment of the long and glorious Spring in Amsterdam. 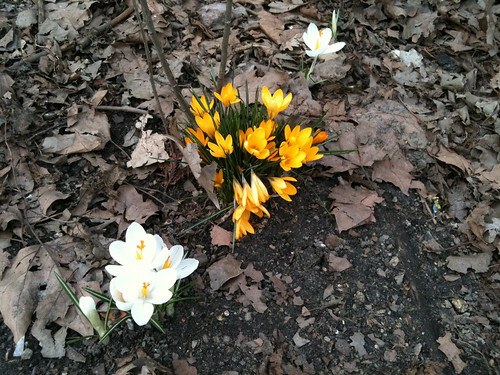 Several weeks ago I started seeing crocuses and snowdrops and this past weekend I saw some daffodils. 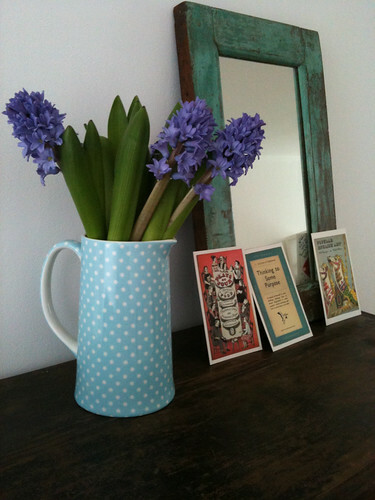 It's also been Spring-y inside lately with some hyacinths. If you're wanting a bit of Spring and it's not what's outside your window, treat yourself to some beautiful flowers! Or just draw some. 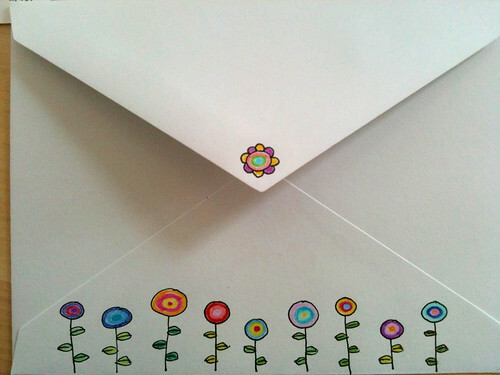 I drew on the envelope of a letter I sent recently. Email is very convenient, but the tangibility of a real letter is always a treat. My Mom, in particular, has been spoiling me with lots of little postcards (some of them seen propped against the mirror in the photo above). Whenever I think of how fun it is to get Real Mail, I always think I should send more of it. Perhaps visiting exotic new places will encourage me to follow through!